We’ve profiled a few of our partners who are doing exceptional work in the development channel. With each new opportunity on their project teams, we learn what it takes to create a successful development project, and how we, as consultants, can better support their visions. 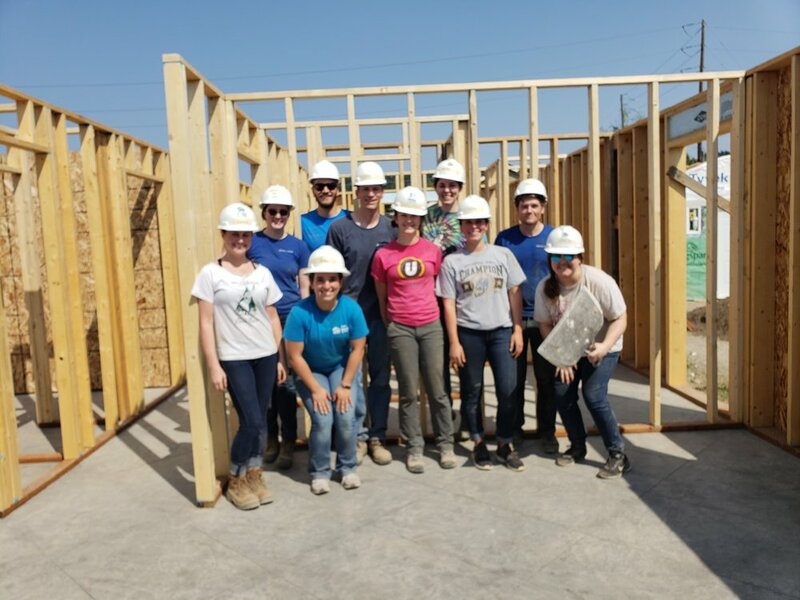 Our commitment to community service and giving take many shapes – see how we partnered with Habitat for Humanity, NAIOP, Plymouth Housing, and Bike MS.
An enhanced program gave Coughlin Porter Lundeen’s 2018 interns a great summer experience and set them up for future success. We’re sharing the keys that guide our internship program. As the spaces where we spend our days continue to evolve, we’re sharing some of our favorite office projects. A snapshot of upcoming industry events, AEC conferences, and PNW happenings. In each edition of The Red Line, we crowdsource recommendations from our team to feature Pacific Northwest favorites. This edition, we’ve rounded up our resident foodies’ top restaurant picks in sweet home Seattle. FEATURED ARTICLE: DEVELOPERS THINK BIG IN SEATTLE - WHAT THREE TOP DEVELOPERS ARE GETTING RIGHT. For the third year in a row, Seattle has topped the nation’s tower crane count. The Seattle Times calls Seattle the crane capital of America and residents are used to their skyline being in constant flux and their city dotted with construction. It’s surely representative of Seattle’s growth and evolution, but we believe there’s so much more to the story as these cranes mark some of the Puget Sound’s most interesting developments. The best developers leverage a long-term vision, challenge the status quo, and choose and design projects that benefit the community. Creating a new development is a significant undertaking - often taking years, spanning acres, and including thousands of hurdles along the way. As consultant partners, we have a front row seat to some of the Puget Sound’s most interesting developments. We’ve profiled a few of our partners who are doing exceptional work in the development channel. By sharing project successes and learnings, we hope not only to give context to the projects behind some of Seattle’s cranes, but identify what it takes to create a successful development and highlight learnings that will help other AEC consultants be better partners as they support these visionaries. Midtown is a full-block development in Seattle’s Central District. The block (at the intersection of 23rd Avenue and E. Union Street), is divided into two parts, twenty percent to the Africatown Community Land Trust, and 80 percent to the Midtown project by Lake Union Partners which will include a mixed-income project of 430 apartments, underground parking for 258 vehicles, and 28,000 square feet of ground floor retail. The project is scheduled for design review this December. Lake Union Partners offered to work with the community to help restore some of the lost culture and support efforts bringing African American businesses and residents back to the neighborhood. Their approach has been conscientious and sincere, and their desire to do right by the community is evident. While the development does include affordable units (of the 430 apartments, 125 will be available to families with incomes between $40,000 and $65,000, meeting the criteria for the city’s Mandatory Housing Affordability program), that’s only a portion of the efforts made to make Midtown a good fit for the neighborhood. Africatown Community Land Trust (ACLT) in partnership with Seattle- based affordable housing developer Capitol Hill Housing (CHH), will develop 20 percent of the block into approximately 130 affordable housing units. Across the full block (ACLT/CHH and LUP), nearly 50 percent of the units will be affordable for households with income as low as $28,000 per year. Much of the early-stage success may be due to the partnerships and philosophies established at the start. Original partners included Capitol Hill Housing, Forterra, and Africatown Community Land Trust, but when they were unable to complete the block purchase on their own, Lake Union Partners joined the team. The group signed a memorandum of understanding with Lake Union Partners ensuring the developer is committed to the community’s desire to revitalize 23rd and Union as an African-American business and cultural center. WHAT THEY DO EXCEPTIONALLY WELL: ESTABLISH GOODWILL IN THE COMMUNITY. Listen to Locals: Including meetings held by Africatown, there have been more than six meetings held by developers and architects where community members are invited to give input on the Midtown project. Weinstein A+U and DLR Group regularly present takeaways from prior gatherings and show how they were considered in the latest designs. 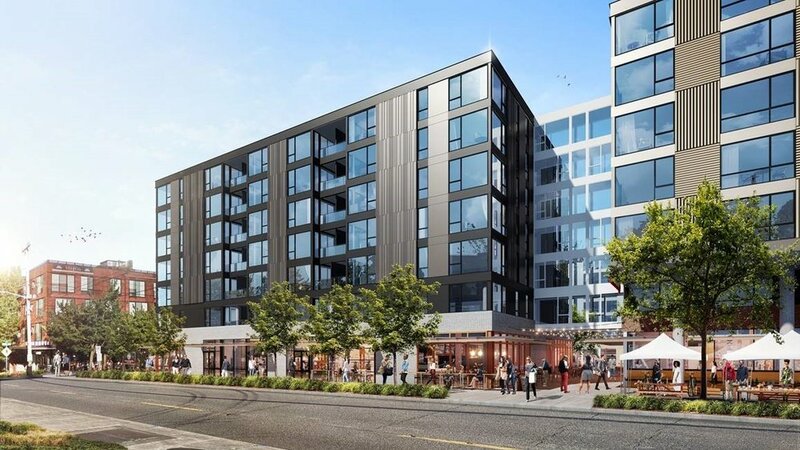 Put Their Money Where Their Mouth Is: Lake Union Partners sold twenty percent of the block to Africatown and Capitol Hill Housing for about $1 million less (on a per square foot basis) than what Lake Union Partners paid for the full block. Additionally, a 12,000 square-foot local drugstore will anchor the development. Their market rent allows the developer to offer lower-than-market rents to local entrepreneurs. The project has a goal to establish synergistic neighborhood retail, owned and operated by as many minority owners as possible. “We commonly push the envelope in our projects and stretch to get entrepreneurs in our buildings who have a great business plan but may not yet have the financial balance sheet to qualify for the space,” says Patrick Foley, a Principal at Lake Union Partners. “It’s more work, but in the end it makes for a better building that the neighborhood appreciates.” Neighborhood treasures like Earl’s Cuts and That Brown Girl Cooks! are already slated to have new homes in the Liberty Bank Building across from Midtown. Make Community Priorities Their Own: Lake Union Partners and their team have taken the time to understand the complexities of its neighborhood and the preferences of its residents. As a result, the project is attentive to things like reaching out to African American sub-contractors who might not otherwise be aware of the project and supporting minority-owned businesses. (W.G. Clark leads the contractor team with assistance from Tony Johnson of JC+C.) Thoughtful designs at the ground-level draw inspiration from farmers markets in different parts of Africa and is designed to be an open-air public square, accessible to the public 24-7. Surrounded by retail, it’s intended to be an inviting community gathering space. On the south shore of Lake Washington sits Southport, a mixed-use, waterfront urban village build from the ground up by local developer SECO Development. The 17.1-acre campus includes three, nine-story. Class-A office buildings, two multi-story apartment buildings named Bristol I & II, highly anticipated restaurants, and a new 12-story, 347-room, 4-star Hyatt Regency. Southport’s massive project scope is a challenge in itself, especially considering the significant time it required to complete—nearly two decades, with 6,000 new jobs created in the process. The size, scope and timeline could be considered the most prominent challenges at Southport, especially as the project required multiple complex phases and included the development of more than 2.4 million square feet. In addition, Southport is the first development of its kind in Renton. Given the size of the project, and its lack of predecessors, SECO knew the project would generate significant attention from the community. But would potential visitors treat Renton as a destination? Would SECO end up with its projected ROI? Despite uncertainties, CEO Michael Christ was confident and saw massive potential in Renton. Southport’s location is an optimal one—not only does it sit on Lake Washington and boast exceptional views, but the ease of access will appeal to guests and tenants alike. The site is close to airports and major interstates, and a proposed water taxi route (funded by SECO) would ferry riders from Renton to South Lake Union in 50 minutes. Southport is also neighbor to The Landing, which includes 600,000 square feet of retail, and the 57-acre Gene Coulon Memorial Beach Park, which offers walking trails, tennis and volleyball courts, boat launches and fishing docks. WHAT THEY DO EXCEPTIONALLY WELL: ALIGN AGAINST A LONG-TERM VISION. Establish a Long-Term Vision: Now that the project is approaching completion (in early 2019), it’s easy to picture what the future could resemble at the campus—tenants putting down roots in Renton and calling Southport home; commuters depending on the water taxi for their everyday route; event planners turning to the Hyatt Regency to host conferences; and even couples booking the hotel’s deck for wedding ceremonies. Much credit is due to Christ and the SECO team for believing in Renton, realizing such an incredible campus for the waterfront parcel, and remaining loyal to their vision for many years. Be Future-Focused: Southport has planned for the future in both design and function. The property’s office space, in particular, reflects SECO’s understanding of creating flexible spaces that can be customized to tenant needs. Designs (floor-to-ceiling windows, top- quality finishes), amenities (rooftop lounges, bike storage, outdoor gathering spaces), and technology elements (Fiber WiFi, elevated electrical service, back-up generator pads) all work together to create an office environment appropriate for a modern organization, especially large technology teams. Manage the Story: Managing the story is important for any new venture or project, but especially one that requires years of construction, community engagement, and ultimately tenants, residents and guests buying-in to a new location and idea. During construction, Southport’s website shares concepts and live feeds of the building process. Today, the site provides important Southport information to stakeholders, all in one place, highlighting the waterfront campus’s various features, including the Hyatt Regency, Bristol Apartments, and Class A office spaces -- as well as showcasing the broader Renton community, The Landing, transportation benefits, and life on Lake Washington. Gridiron is a Kevin Daniels project in the heart of Pioneer Square. It features 107 contemporary condos (including affordable units) and sophisticated amenity spaces. As CenturyLink’s newest neighbor, it kept things interesting for both our structural and civil teams with historical preservation needs, a crazy site shape, and ongoing streetscape improvements. A significant challenge included the historic preservation aspect of the project. The team restored the Johnson Plumbing Building’s 1904 brick façade, converting the deficient element into a special building feature. In addition to collaborating with the Pioneer Square Review Board, through whom all designs needed to be approved, the team also needed to communicate with Gridiron’s next-door neighbor, the Provident Building. The two buildings share a bearing wall, and it was important to make sure Provident Building residents weren’t negatively impacted by construction, but instead appreciated their new neighbor as a positive addition to the area. In addition to historic preservation elements, the team faced the challenge of a very difficult site. Gridiron’s strange, triangular footprint required that our structural engineers support unique designs, creating never-used-before systems. As condominiums, it was important that unit layouts maximized square feet and tenant experience. On the ground, the team coordinated extensively with both CenturyLink and Seattle Waterfront teams, ensuring that Gridiron was a seamless addition to the area. A further undertaking, especially for our civil team, was the development of a Master Plan for Gridiron’s front yard, as eventually Railroad Way South will be replaced with a pedestrian plaza, The Stadium Plaza park at Seattle Waterfront. A final but significant challenge was living up to the Daniels Development Co. mission. The organization strives for, “Always exceptional, never ordinary” and “tackles large and complex development projects that provide a building block for stronger and vibrant communities.” With the bar so high, project teams are challenged to uphold the exceptional standard, which we consider a positive motivator and the most exciting kind of work! Commit to Getting the Details Right: Arguably, you can’t get the details right if you don’t know who you’re designing for. By taking the time to forecast potential tenants, the team was able to create a space tailored to its future residents. Details and finishes are not only high-end, but thoughtful and purposeful. For example, wine lockers are located just outside the exceptional rooftop space which features a dog run, entertainment rooms, outdoor fireplaces and views of the city, stadium, Sound, and Olympic Mountains. Inspire Your Team: We’ve been privileged to be a part of many Kevin Daniels projects and during our decades-long relationship, can attest that his approach motivates the project team in a special way. It’s exciting to partner with a visionary who is such a genuine advocate for the city, and an honor to contribute to projects that often become Seattle standouts. We find that the Kevin Daniels attitude and mission is infectious, making us push one another creatively, and ultimately delivering a superior final product. After all, when every level of a team is bought-in, results sing. More than twenty years of working with some of the region’s most visionary developers has granted us insight into how successful developments are created, and how as consultants, we can best support our developer partners. We’ve witnessed how establishing goodwill in the community, aligning against a long-term vision, and creating something truly unique can make all the difference in development projects and look forward to contributing to Seattle’s continued evolution. Community is a cornerstone of our business and we’re always looking for ways to support meaningful causes. Here, we’ve highlighted a few of our latest partnerships. Team GLY on the course! The Wood Task Group hard at work in the Pacific. A shot from the 'thank you' video St. Bernadette students made! Coughlin Porter Lundeen engineers Colin, Garo, Cory, Marsha, Albert and Javier serve a meal to Plymouth House residents. For the third consecutive year, we joined Team GLY for two-days of cycling at Bike MS. Structural Engineer, Tyler Weinbrecht spearheaded Coughlin Porter Lundeen riders at the Deception Pass Classic. Held at the Skagit County Fairgrounds in Mt. Vernon, riders opted for routes between one and one hundred miles, all in the name of supporting MS research. An impressive series, Bike MS rides span the nation and have raised more than $1.3 billion for the National MS Society, whose mission is to rid the world of Multiple Sclerosis. The GLY Team Fundraising Page is still open if you’d like to donate, learn more, or consider riding with us next year! This August, Coughlin Porter Lundeen’s Wood Task Group partnered with Habitat for Humanity for a Volunteer Build Day in Pacific, Washington. Lead by Structural Engineer, Rachel Vranizan, the team donned their tool belts and helped construct homes earmarked for veterans. It was unanimously a great day of teambuilding and a rewarding experience. A global nonprofit housing organization, Habitat for Humanity partners with local communities to help families in need secure affordable housing. Habitat homeowners help build their own houses alongside volunteers. Curious about supporting Habitat or participating in a Build Day near you? There are lots of opportunities to volunteer and support! NAIOP Community Enhancement events bring together volunteers of all ages – from AEC and beyond – to lend a full day of support and manpower to local causes. It’s amazing what an impact one day of work and a team of willing volunteers can have! This year more than 400 volunteers (including more than 40 from Coughlin Porter Lundeen!) worked at Burien’s St. Bernadette’s Parish School. Teams updated signage and provided landscaping and overall beautification efforts, all designed to instill pride in the school’s multicultural student community. Each Community Enhancement event is carefully chosen by a NAIOP committee and community centers, schools and nonprofits can all apply. Each is large too, requiring extensive planning, fundraising, budgeting, and coordination of up to ten, simultaneous day-of projects. Structural Principal, Garo Pehlivanian is a committee member and regularly serves as a project lead onsite. Structural Project Manger, Eric Dixon leads internal efforts as well. Past Community Enhancement Days have brought us to Farmer Frog, where we reclaimed county trails (in record time!) and New Start High School in Burien, where we updated the Salmon Creek Campus. It’s hard work, but surely worthwhile to the community. Plus, team members agree that it’s consistently one of the most fulfilling days on their calendar. Plymouth Housing works to eliminate homelessness and address its causes. Following the Housing-First philosophy, Plymouth Housing provides residents a safe, quality home, believing that housing is the first step in helping those who face homelessness transform their lives. Their more than 16 buildings in the Seattle area provide residents not only a safe place to live, but support, hope and opportunities to stabilize and improve their lives. After hearing about Plymouth Housing’s mission at an in-office lunch session, Structural Principal, Garo Pehlivanian, was inspired to get involved. Invited to contribute a meal to the residents at Saint Charles Apartments, he organized our team. All preparation needed to be done offsite, so some team members brought in desserts and baked goods, some gathered side dishes, salads and beverages, and others managed a slew of slow cookers for pulled pork. (Our office kitchen has never smelled better!) Team members not only managed all food preparation, but also delivered and served the meal at Saint Charles Apartments, then sat and visited with residents. HOW AN ENHANCED PROGRAM GAVE COUGHLIN PORTER LUNDEEN’S 2018 INTERNS THE BEST EXPERIENCE YET. Traditionally, Coughlin Porter Lundeen is known for a strong program that elevates the intern experience far beyond errand and coffee runs. We’re proud to welcome many interns back for repeat sessions and regularly hire interns as full- time staff when they graduate. In fact, some of our current Principals began as interns … just a few years ago. Despite program success, engineers Ana Perarnau, Albert Alix and Chanel Jackson came together to spearhead a revitalization of the civil and structural internship programs. 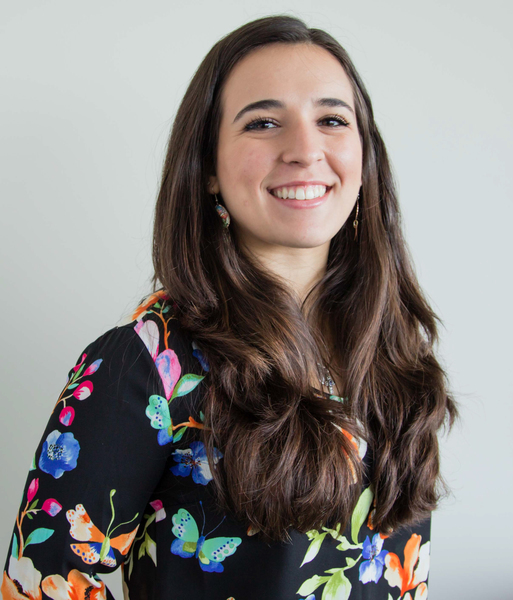 All served as an exceptional mentor and guide to the current intern class, and Ana had recently been through the Coughlin Porter Lundeen program herself. Who better to shape the intern experience? They collaborated with the leadership team to revisit the curriculum and approach for our growing program, designed to deliver value to our interns and staff. Three primary themes guided the interns’ enhanced program this summer: Cultural Inclusion, Experience and Insight. 1. CULTURAL INCLUSION: SET INTERNS UP FOR SUCCESS. SHARE COMPANY CULTURE AND BUILD SUPPORTIVE STAFF TEAMS. "The community that CPL establishes, and how willing everyone is to help, makes it unique. At past jobs and internships, people mostly just keep their heads down and do their own work. At CPL, that is not the case by any stretch of the imagination. If I ever have a question about anything, I feel comfortable going to any engineer around me because they are so friendly and patient, even when my questions feel admittedly silly." First and foremost, it was important that the interns feel welcome at Coughlin Porter Lundeen. Their first week opened with introductions to the full team (100+ intros! ), and a welcome-lunch to meet one another, their peer mentors, and assigned mentor groups. Each mentor group was led by at least two project managers, ensuring interns received guidance from all levels. We established camaraderie early on, assuring interns that they should feel at ease when approaching the engineers with any comments or questions. We understand the daunting task of starting a new job or internship, so we broke the ice and let our new arrivals know, we get it. After all, we believe that the more comfortable an intern is in our office, the more they’ll contribute and learn. 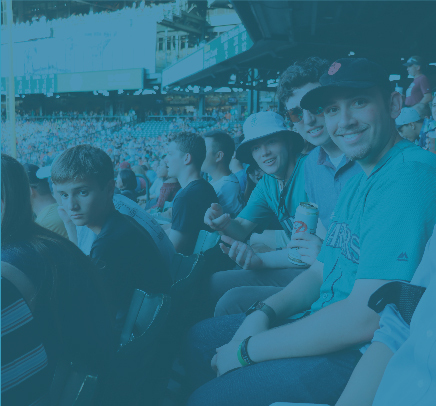 Throughout the summer, we sprinkled in social and Seattle-specific activities to help balance the workload, inviting interns to participate in teambuilding outings (Seattle Underground Tour, Mentor Lunches), all- company events (volunteer days, the annual company picnic, Mariners game), and other recreational opportunities (soccer, kickball, hiking excursions). 2. EXPERIENCE: GIVE THEM REAL WORK! AFTERALL, IT’S WHAT THEY CAME FOR. It’s always been our practice to give interns real work during their time with us. Software training begins right away. We introduce them to our 3D modeling and design programs like AutoCAD, Revit, Civil3D and Bluebeam. From there, they begin collaborating with engineers on real projects and are tasked with various assignments, from design and plan mark-ups to permit submittals and attending team meetings. Charging interns with real work not only helps us evaluate them as potential full-time hires, but sets them up for future success. By exposing interns to projects of varied markets, materials, client types and construction phases, they learn more about the field and can better refine their interests. We tried to honor existing interests too, assigning interns to projects that sincerely excited them (we asked about favorite materials and building types during their interviews). Exposure to real projects showcased what it takes to execute a project from start to finish, from schematic design to construction administration. We aimed to give them a realistic and comprehensive understanding of the AEC industry while allowing them to explore the areas of engineering that most pique their interest. In addition to project work, some interns delivered research presentations to Coughlin Porter Lundeen mentor groups at the end of their term, showcasing what they’d learned, practicing public speaking skills, and earning a great item for their resume. For example, intern Sam White channeled his interest in mass timber design to generate an in-depth analysis of Dowel Laminated Timber (DLT) vibration calculations in ETABS. Daniel Bi created a wood shear wall footing spreadsheet that checks the overall footing design against input loads and geometric parameters. And Kelly Sindelar worked with the civil team to develop standards for transitioning transportation modeling software from AutoTURN to Vehicle Tracking. 3. INSIGHT: INSPIRE INTERNS TO THINK BEYOND THEIR DESKWORK, GRANTING INDUSTRY, PROJECT AND DISCIPLINE INSIGHTS. We packed the summer with as many site visits as possible, taking the interns with us to numerous projects sites in different stages of development. In addition, we took advantage of in-office learning opportunities such as lunch-and-learns and intern-specific presentations. One of our favorites was presented by Principal, Garo Pehlivanian, who gave a “Coughlin Porter Lundeen Flagships” presentation highlighting core values and long-term relationships. Garo profiled clients like Starbucks and Kevin Daniels Real Estate (whose history with Coughlin Porter Lundeen spans more than two decades), shared how client relationships have shaped our firm’s identity, and discussed how core values (like commitment to quality, community, and a client-first mindset) guide all that we do. Another afternoon involved a presentation led by Marketing Manager, Marcie Lohr, Project Manager, Kyle Malaspino and Structural Associate, Matt Snook. Together they shared our breadth of work in South Lake Union and the area’s evolution. Afterward, we guided the interns on a walking tour of South Lake Union so they could experience the neighborhood and see referenced projects for themselves. CHARGE EMPLOYEES WITH TASKS THEY’RE PASSIONATE ABOUT. Spearheading the effort were team members who were already invested in making the internship program great. Letting employees “create their own destiny” in this way fosters a culture of participation and yields better final results. As a leadership team, consider it your responsibility to encourage creativity, support interests and celebrate achievements. EMPOWER AND SUPPORT YOUNG STAFF. Charge your team with roles and responsibilities that matter. Eager-to-contribute, young employees will especially rise to the challenge and enjoy taking ownership. Harness their fresh ideas and energy. Failing to do so is not only a missed opportunity for your organization, but may result in early burnout! TREAT YOUR INTERNSHIP PROGRAM (OR CURRENT UNDERTAKING) LIKE A CLIENT PROJECT. Often, our internal initiatives get bumped to the back burner. It’s natural, especially in busy organizations supporting lots of client work.We encourage you to prioritize your effort - Assemble a dedicated team, set goals, create a timeline, and schedule regular check-ins. Sometimes, just adding the framework that would accompany a client project helps move it along. Also, once implemented, don’t forget to evaluate your progress regularly. It will undoubtedly need to be adjusted, and missing those early, obvious changes is mistake that undermines all the upfront work done by your team. Check in, make changes! Our enhanced program found success by giving interns a warm, genuine welcome, granting them valuable “real-world” experience, and arming them with insights and tools to help their future pursuits. We wish our 2018 interns success, and can’t wait to meet the 2019 crew! Ana Perarnau is a Structural Staff Engineer at Coughlin Porter Lundeen. She enjoys being challenged with new materials and project types, and has worked in a range of markets, from schools and multi-family to hospitals and research facilities. She is passionate about giving back to the community, volunteering regularly with organizations like ACE Mentor Program, Habitat for Humanity and Mary’s Place. Chanel Jackson is a Civil Engineer at Coughlin Porter Lundeen. She has implemented sustainable stormwater practices and interdisciplinary design team coordination on projects ranging from the Amazon in the Regrade to high schools around the state. Supporting the visions of clients like NAC Architecture, Graphite Design Group, and Runberg Architecture Group, her favorite projects are community-focused and socially-conscious. The spaces where we spend our days continue to evolve, and some of our partners are at the forefront. We’re showcasing some of our favorite office projects. As Seattle and Bellevue continue to expand, Kirkland is emerging as an enticing alternative office destination that caters to high-tech firms. The largest development in Kirkland history, Kirkland Urban is a mixed-use office, retail, entertainment and residential development comprised of more than 1.2 million square feet. The development spans multiple buildings on 11.5 acres, the equivalent of four Seattle city blocks. Kirkland Urban pushes the boundaries with complicated design features and construction staging on a large scale. The project is being built in three phases, broken down into nine zones with separate packages and permits. Tiered public plazas, pedestrian walkways, stairwells, escalators, elevators and vehicular thruways connect multiple buildings and site features, merging retail, entertainment, and residential with office environment. “Kirkland Urban is built around the 18-hour day — where life doesn’t stop before, during, or after work,” says kirklandurban.com and reimagines the typical office environment. When complete, the development will offer 650,000 square feet of Class-A office space, most of which has been leased by tech companies, Tableau and Wave, with recent buzz about Google vying for a piece of the pie. FUN FACT: Phase I of the project is expected to open early 2019 with subsequent phases wrapping up in 2021. General Contractor: Ryan Companies, Inc.
A stunning four-story office development along the shore of South Lake Union, The Atrium offers 205,000 square feet of Class-A office space with a lab component. The building’s large floor plates promote collaboration and its feature four- story vertical piazza and communal glass atrium provides further connection at each level, enhancing the overall tenant experience. Two levels of below grade parking provide 260+ stalls and if you’re lucky enough to commute via boat, the building even has its own private dock with water access. Additional amenities include multiple roof decks, expansive plazas, and destination dining options — aiming to inspire and attract “Seattle’s best” talent. The atrium space (with its large curtain walls, skybridge, and feature stairs) required special attention and creative detailing. Thoughtful organization of the column layout allows for future flexibility and maximizes space usage while accommodating a variety of potential tech or lab tenants. Located near the South Lake Union shoreline, a robust foundation system mitigates the site’s poor soil conditions and high groundwater. The project also required extensive civil work. Two undergrounding packages removed aerial obstructions from view, a strange right-of-way required special attention, and 350-foot water main extension reaches under Fairview Avenue. This eight-story, mixed-use office building is the latest addition to Hudson Pacific Properties’ “King St. Crossing” hub in Pioneer Square, comprised of five historically renovated structures totaling nearly 800,000 SF of Class-A space with shared amenities along King Street. Completed in Fall 2017, 450 Alaskan offers unobstructed views of Elliott Bay near the future Seattle Festival Pier and waterfront esplanade. The extensive open floorplan, supported by PT wide shallow beams, offers flexibility and encourages interaction and collaboration between colleagues. The cladding design blends modern and historic elements, incorporating the neighborhood’s traditional brick façade aesthetic with large glass windows that maximize a picturesque backdrop of Elliot Bay and the Olympics. The interior follows suit, with exposed original brick and reclaimed wood juxtaposed by polished concrete floors and concrete walls. FUN FACT: Developers describe 450 Alaskan as “a modern jewel between the water and the cobblestones.” The high-design space is stunning, rivaled only by the sweeping views from the nearly 8,000 square foot penthouse roof deck and terrace. Where you'll find us this season. In each edition of The Red Line, we crowdsource recommendations from our team to feature Pacific Northwest favorites, everything from hikes and holiday happenings, to road trip destinations. This edition, we’ve rounded up our resident foodies’ top restaurant picks in sweet home Seattle. Why I Love It: Japonessa is a wonderful place if you want high- quality sushi for a reasonable price. A Japanese and Latin fusion restaurant, Japonessa serves everything from ordinary sushi dishes to fresh fish from the Pike Place. They also have deep fried sushi – if you haven’t tried it, you’re missing out! The main dining space is large and can accommodate groups, and the bar area makes for a great casual dining option and a cool restaurant centerpiece. Japonessa is just a few blocks away from us here at CPL, so we can vouch to their stellar happy hour too. Pro Tip: Make sure you reserve a table beforehand, it can get busy. And order the calamari salad! Why I love it: Who doesn’t love PASTA!? Il Corvo specializes in pasta, making theirs fresh each day. Their menu rotates daily, and the three dishes of the day are released on Instagram. Hours are limited, as they’re only open from 11-3 on weekdays, but it’s a favorite lunch spot for many in the office. Pro tip: Prepare for a wait. Il Corvo is popular and one line takes both dine-in and take-out orders (there’s no advanced ordering option). But, it’s worth the wait! My advice: bring a book or choose to go on a sunny day where the wait will be pleasant. Why I love it: I LOVE the brunch here! Not only is the restaurant beautiful (furnished with architectural objects and antiques from all over the world), the food itself is crave-worthy. My favorite dish on the menu is the “Big Toast” - Dungeness crab, poached eggs, bacon, and greens, all atop a giant slice of fresh bread. Yum. Honorable mention goes to their “Breakfast Pizza.” Order it, you won’t regret it. The best part? They take reservations! A game-changer for busy weekend mornings. Pro Tip: If everyone in your party is over 21, ask for one of the booths in the bar area along the windows. You’ll feel like you’re dining outside…without actually dining outside. They’re the best seats in town! (Especially in the summer when they open up the windows!). try something new. You can count on them to serve quality food and provide excellent service. I take my family here regularly, especially during “Nowruz” (the beginning of spring) when the restaurant is beautified with traditional décor. Pro Tip: My recommendations would be Lamb Kabab, Chicken Skewer Kabab, Saffron Rice, and any of the traditional appetizer plates! Published by Coughlin Porter Lundeen, The Red Line is a biannual collection of the firm’s news, perspective, and commentary on AEC industry topics. All content is curated and written in-house. Questions, comments or feedback? Send us a note!